Few people would expect Zurich to be home to one of the best jazz clubs in Europe, but then they obviously haven't been to Moods. Few people would expect Zurich to be home to one of the best jazz clubs in Europe, but then they obviously haven’t been to Moods. Located next to the ultra-gorgeous LaSalle in the post-modern Schiffbau arts complex in West Zurich in a converted industrial space, Moods is a must-visit for any live music fans who happen to be in town. In the two decades since its opening Moods has won a slew of accolades and attracted some of the biggest names in the business it regularly hosts over 300 events a year, so there’s always something happening and at weekends there are often after-parties that keep the fun going after the gigs are over. 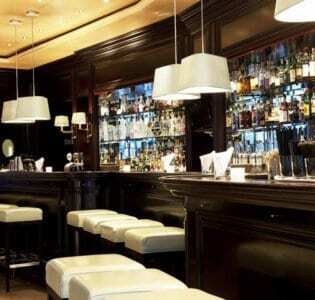 Expect to find trendy locals sampling cool cocktails and sipping scotch while nodding away to some of the finest jazz bands in the world. If jazz isn’t your thing, never fear, since the venue’s repertoire is extensive, with reggae, swing, blues, alt-pop, dancehall, classical and electronica all making appearances on the schedule. Sure, the name Moods is slightly cheesy, but the clientele isn’t, and the venue itself is actually fairly stylish. Though its international standing attracts a far flung crowd sometimes, it’s defiantly non-touristy and many of the patrons are regulars. If you’re hungry for more than great music, we suggest some of their fine local dishes to go with your cocktails try one of their perfectly made martinis to put you in the mood (sorry). As well as hosting established names, the company also has a pleasing streak of altruism: there’s a Moods Award aimed at supporting local musicians.